GoPro’s Hero cameras may be the undisputed leaders in the action camcorder market, but no manufacturer comes closer to besting them than Sony. 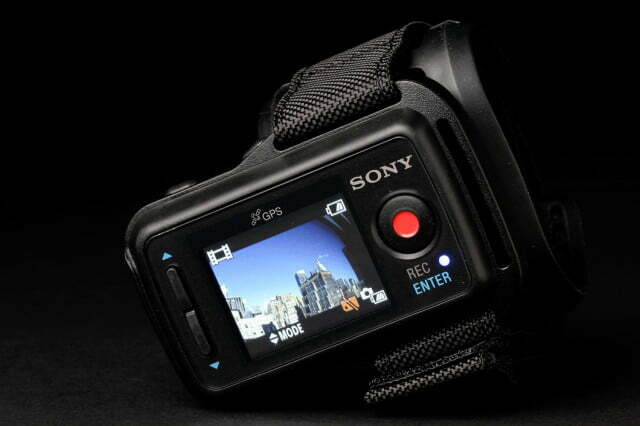 Its Action Cam models are well-made cameras that are chockfull of great specs that deliver very good image quality. One of the newest models is also Sony’s smallest. The Action Cam Mini (HDR-AZ1) fits nicely inside the palm, yet it delivers excellent video quality that can rival GoPro’s. 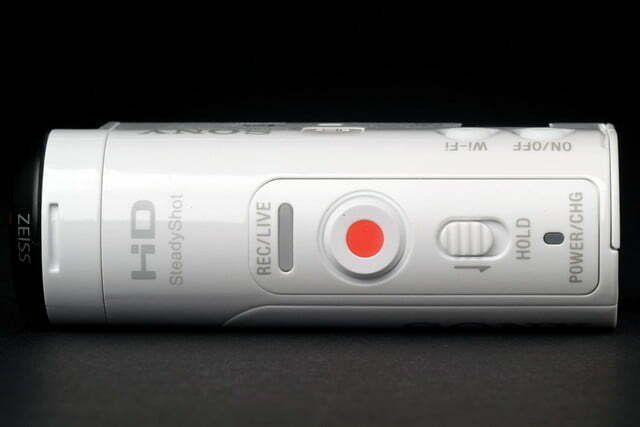 It doesn’t offer many fine-tuning options, but the AZ1 will satisfy those looking for an easy-to-use action cam that shoots good-looking videos. 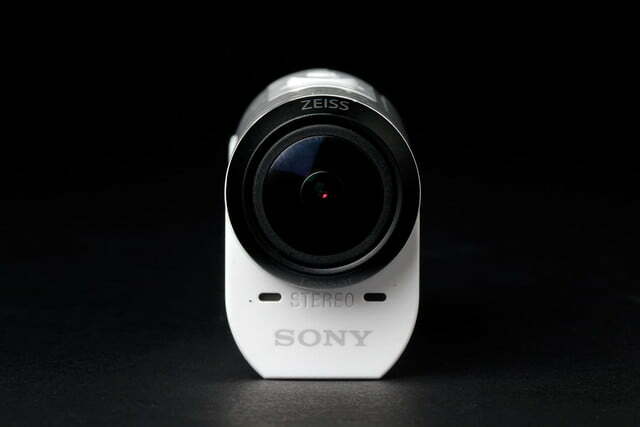 The AZ1 is Sony’s smallest model in the Action Cam series. 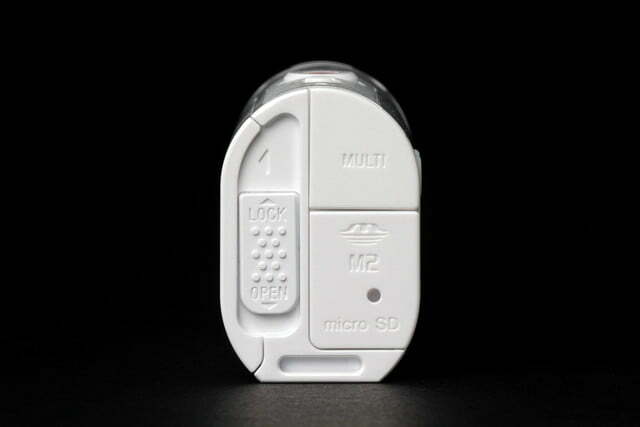 It weighs 2.2 ounces (with battery), and measures approximately 1 inch wide, 1.4 inches tall, and 3 inches in length. The camera is lightweight and easy to pocket, but still slightly larger than GoPro’s Hero camera in some areas — only by a bit. 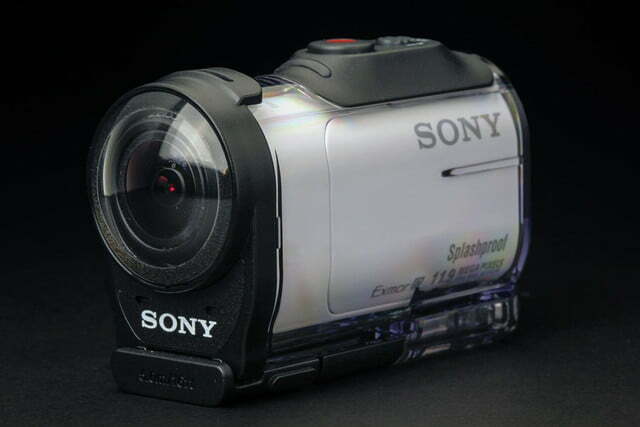 Smaller is better when it comes to recording action sports, since it’s less cumbersome on your body when worn. Sony uses a unique pistol-like design that makes it easy to grip in your hand or between your fingers. It’s different from GoPro’s boxy approach, but we don’t find it any more difficult to use – or easier for that matter. It does protrude out a bit in some scenarios, like when using the chest harness. 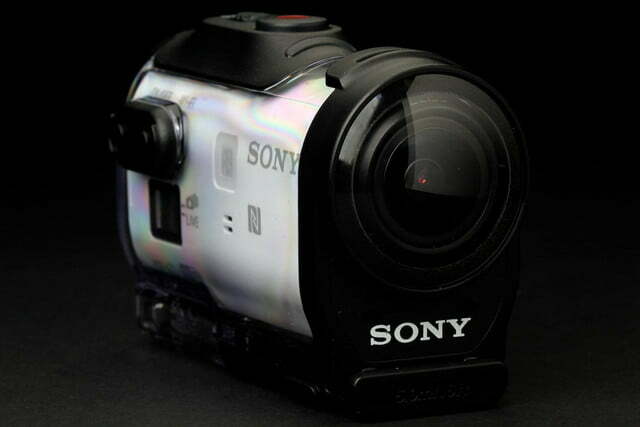 One advantage Sony’s Action Cams have over GoPro and most POV camcorders is that the camera is splashproof without the housing. 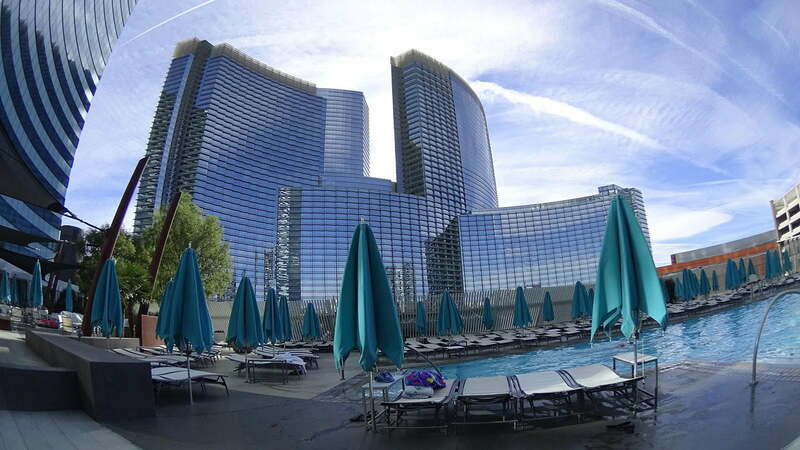 That means it can handle light rain, pool splashes, and even snow. We still recommend you use the housing, because it adds a layer of protection. 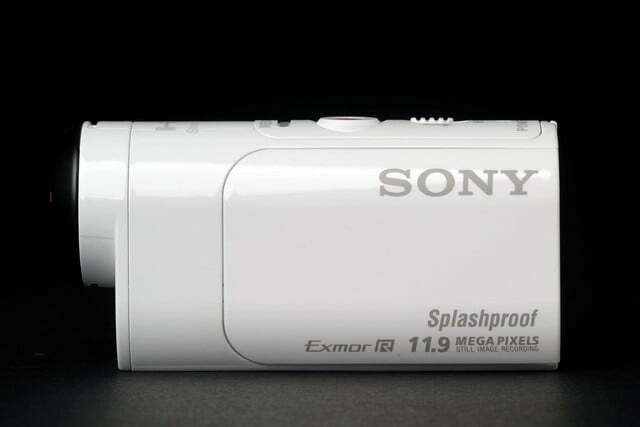 Sony had to sacrifice some features to compensate for the small size, but not many. Compared to larger models like the AS100V and AS200V, there’s no HDMI-out, the LCD is smaller (it’s practically useless, except for indicating battery life), and the battery is smaller as well. 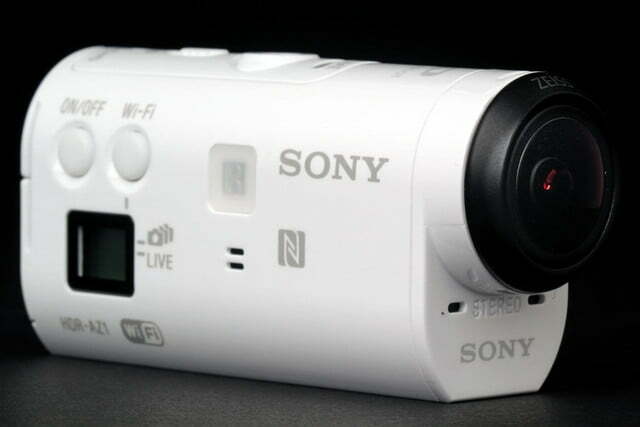 There’s also no built-in GPS and mic input, and it can shoot slow motion only at 720p at 120 Mbps. 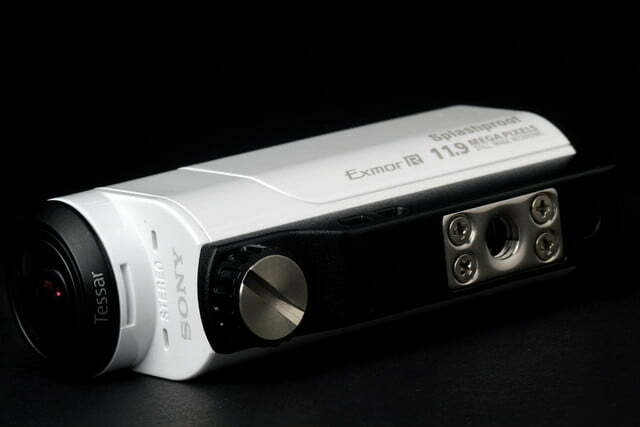 To take advantage of the AZ1’s XAVC S high-bitrate recording, you need a high-speed card. Battery life in action cams is short. If you anticipate a long day of shooting, grab an extra battery or external USB battery pack. 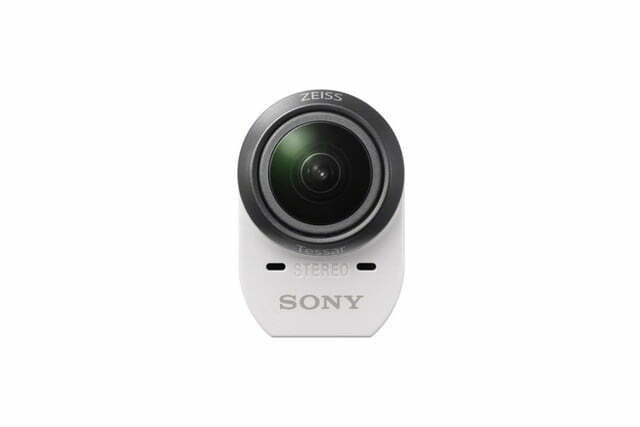 Like GoPro, Sony has a big selection of mounts and accessories. Grab this head mount for a quick way to attach the camera to your body. 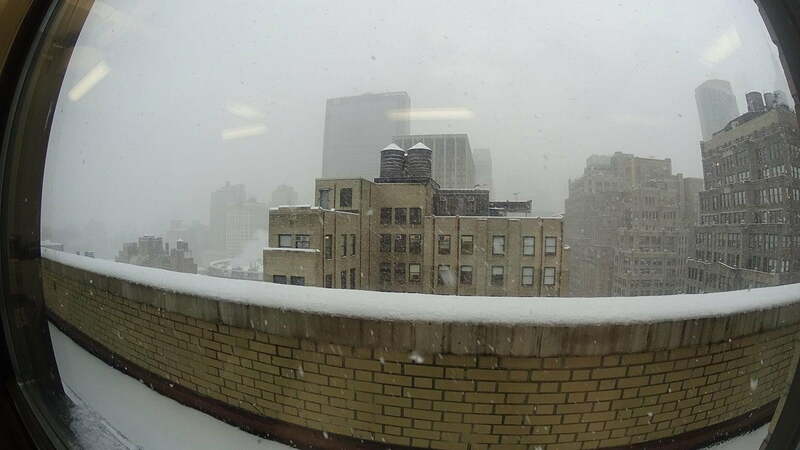 Otherwise, the camera retains most of the top specs. It shoots up to Full HD 1080 at 60p, and supports Sony’s XAVC S compression format for higher-bitrate videos (50Mbps), in addition to MP4 (28Mbps). You can also drop resolution down to 480p to save storage. It uses the same 1/2.3-inch back illuminated Exmor R CMOS sensor (11.9-megapixel stills), Bionz X image processor, stereo mics, and 170-degree f/2.8 Zeiss Tessar lens as the larger models. Another nice feature is the SteadyShot image stabilization system, but it shortens the field-of-view to 120 degrees when enabled. 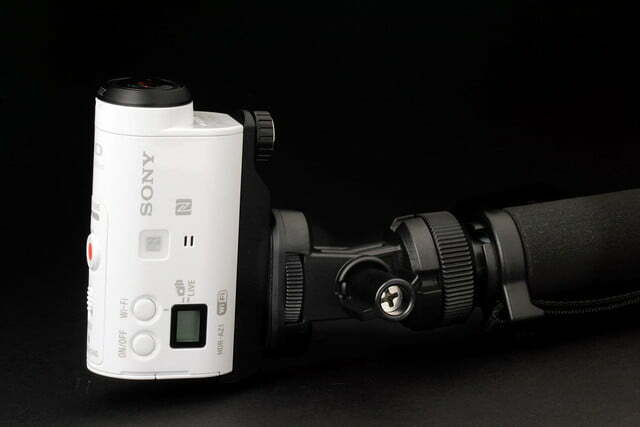 Like GoPro, Sony offers plenty of optional mounts that cover a range of activities, but unlike their competitors, the cams also have standard tripod screws. That means we can use any tripod accessories we already own, right out of the box. With GoPros, it’s a $10 accessory. The AZ1 supports Wi-Fi and NFC, so you can use an iOS or Android device for live view, remote operation, and settings adjustment. 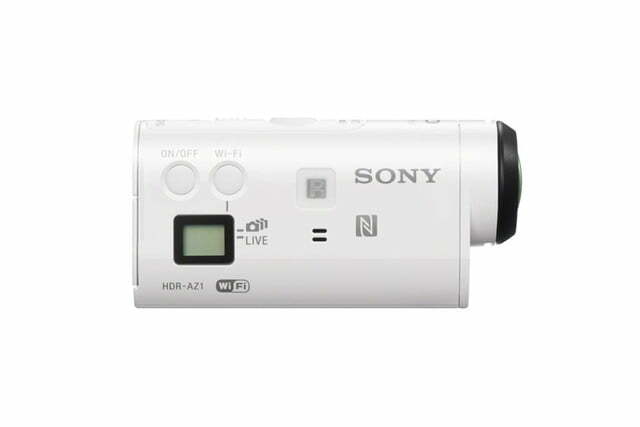 The camera also supports Sony’s Live View remote, an optional accessory, that provides live view and GPS location data. The AZ1 comes with a Micro USB cable, rechargeable battery, waterproof case, attachment buckle, flat adhesive mount, curved adhesive mount, and tripod adapter. 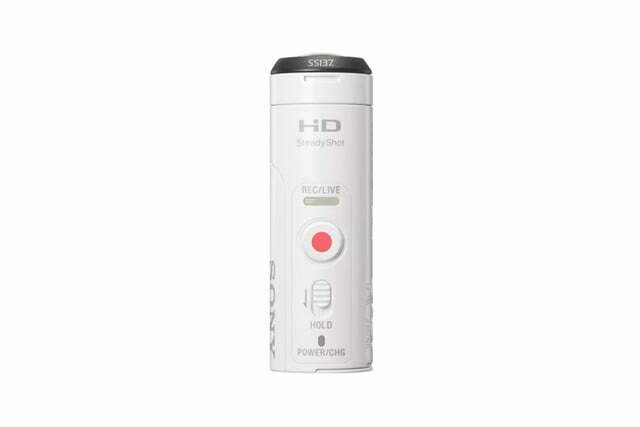 In the AZ1-VR bundle, the camera includes Sony’s Live View wrist-mounted remote. Sony offers the standard limited one-year warranty, but you can also opt for extended protection via Sony’s Protection Plus plans that cover even accidental damage. 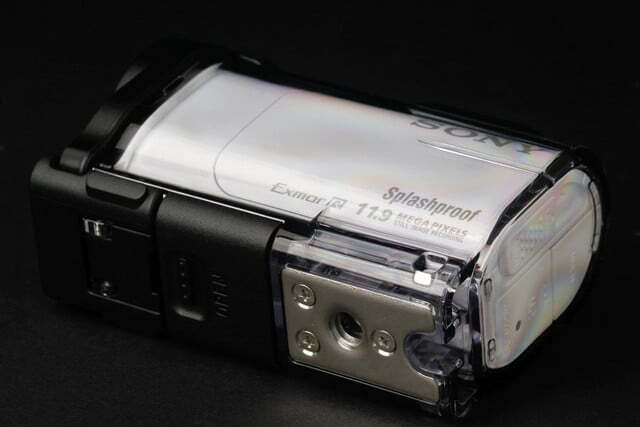 On the spectrum of action cameras, the AZ1 sits somewhere between budget models and GoPro’s Hero4 Silver. 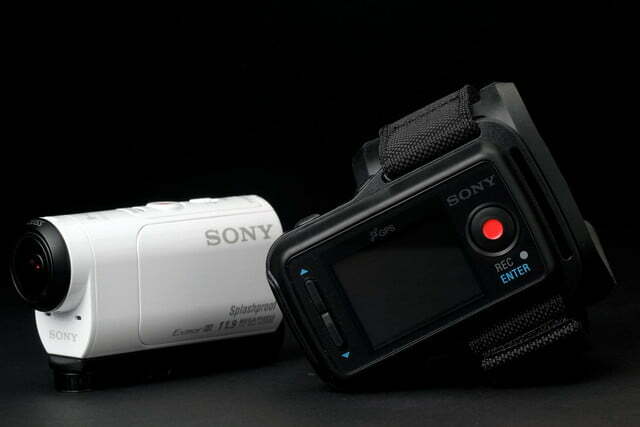 Like all action cams, the AZ1 is simple to use. Slip the battery into the side compartment (the whole panel pulls apart), push a Micro SD card (SDXC recommended), plug in a Micro USB cable to charge up the battery, hit the record button, and it’s ready to go. There are few buttons to worry about. Besides Power, there’s a Wi-Fi button to toggle between Wi-Fi settings, and a Hold switch to lock the record button. As mentioned, the small LCD is somewhat useless. It doesn’t let you make any additional changes to settings, like resolution or turning on and off SteadyShot (for that, you’ll have to pair the camera with Sony’s PlayMemories app for iOS or Android); it only shows battery life, Wi-Fi, and memory card status. Powering on and off the camera is very quick – much more responsive than GoPro cameras. Unlike the GoPro Hero4 Silver and Black models, Sony’s Action Cam models don’t let you fine-tune the camera much, with the exception of picking Vivid, Neutral, and Underwater modes. 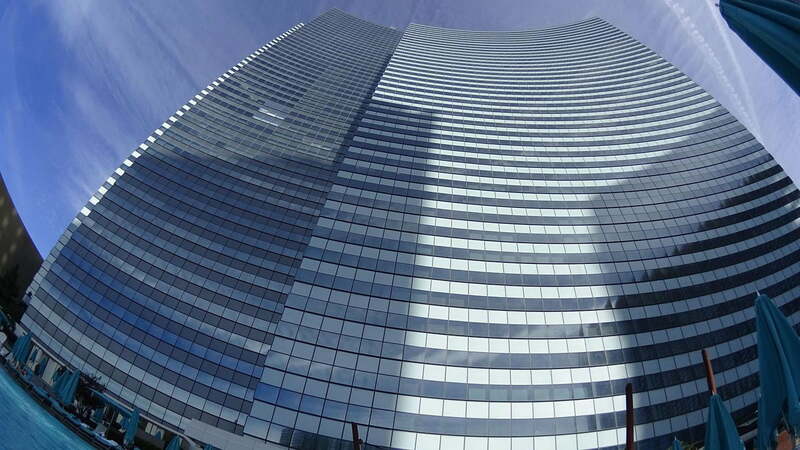 For example, with GoPro’s Protune mode, you can adjust settings like exposure and ISO. If you think you’ll benefit from that capability (especially if you are shooting night shots), you may want to consider the GoPro Hero4s. 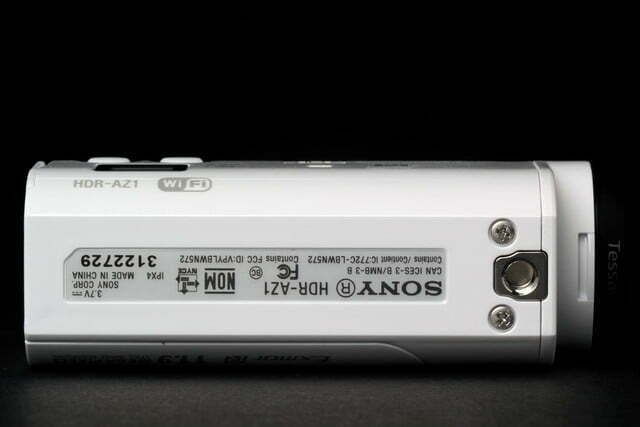 The AZ1 has Wi-Fi for pairing with the PlayMemories app for iOS or Android. It also has an NFC tag for quick pairing using compatible Android phones. Sony does a great job with its Wi-Fi implementation, and the Live View image we got on our iPhone 5S and Motorola Moto X was never sluggish. As mentioned, using a smartphone is the only way you can make changes to the settings. 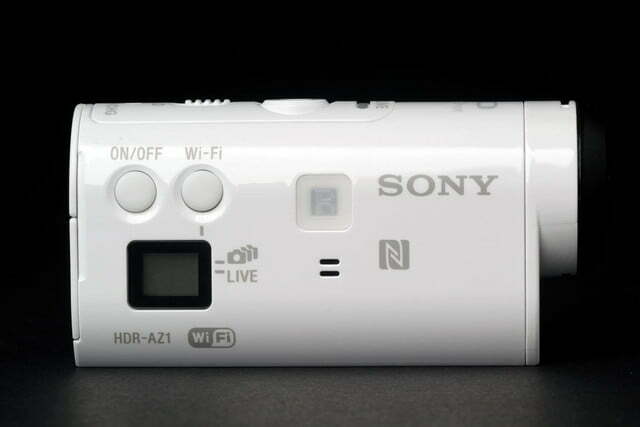 However, it’s the same app Sony uses for all its Wi-Fi enabled cameras, so you don’t get as much of a unique experience as you would with GoPro’s app. 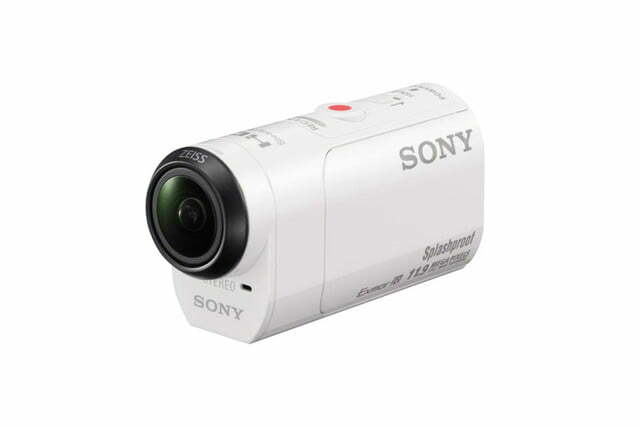 The camera also supports Sony’s Live View remote, a wrist-strapped remote control that gives you a live-view image. When you’re engaged in an activity like a snowboard ride, it’s a useful tool for seeing what the camera is shooting, and much more convenient (and safer) than using a smartphone in your hand as you’re sliding down a mountain. The remote also adds GPS location data to your photos and videos, and you can also use it to control multiple Action Cams. It works, but the pairing process can take a while sometimes, and the connection isn’t always stable. 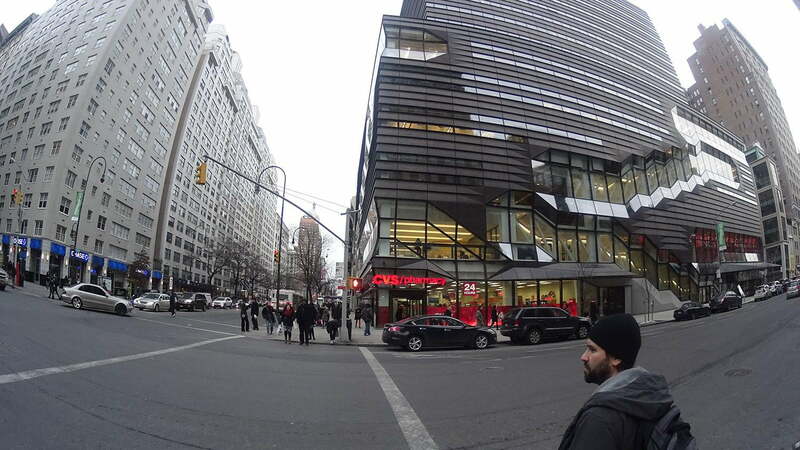 Still, GoPro doesn’t offer this functionality unless you buy a third-party accessory. 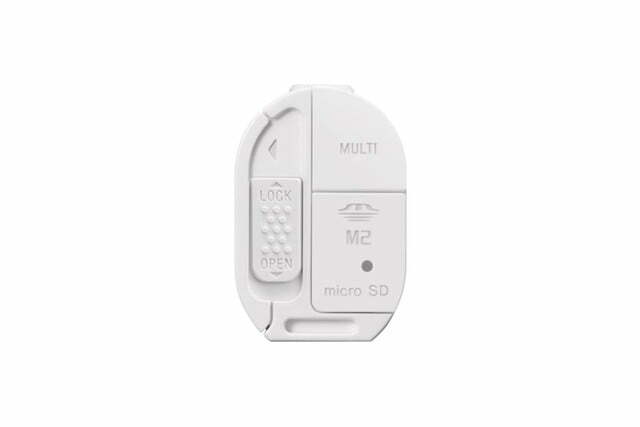 (The Live View remote comes in a package bundled with the camera). 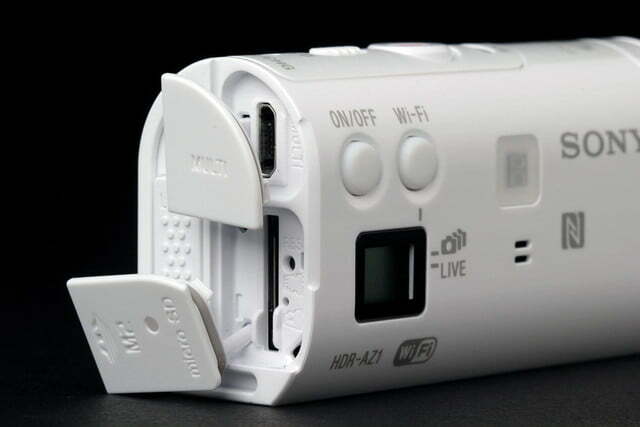 Most action cams, due to battery size, don’t boast long battery life. The same is true for the AZ1. If you’re shooting at the highest resolution, and at XAVC S format and with Wi-Fi enabled, expect around maybe an hour. If you want an action camera that’s simple to use and delivers great image quality, the AZ1 is a no brainer. It isn’t overly complicated, and it performs better than budget models. GoPro offers a cheaper Hero model that costs only $130, but the AZ1 has better resolution and Wi-Fi/NFC. If you want a stronger action cam that lets you fine-tune settings, you’re better off with GoPro’s pricier Hero4 models. 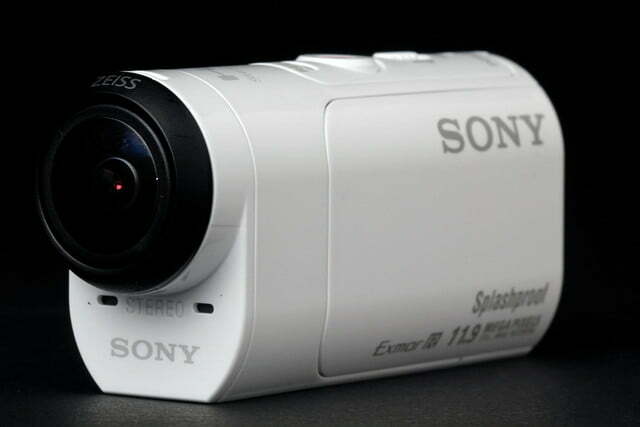 Otherwise, the AZ1 should satisfy the majority of consumers looking to get into action-cam videography.